Thank you for all the congrats on the new gig! I really appreciate all of the support 😀 Muah! I had so much trouble sleeping last night and the night before — so many racing thoughts of excitement, the unknown, how my schedule will work out, etc. I love the various opportunities working several part-time jobs brings, but sometimes it feels like I’m juggling too many balls in the air…leading me to the realization that I need become more organized! Yep, definitely need to be more organized. Combine ginger, garlic, cashew butter, soy sauce, sugar, rice vinegar, sesame oil, and water in a food processor and process until completely blended and smooth. Adjust consistency by adding more water or cashew butter (thinner v. thicker, respectively). Taste and add your favorite hot sauce, if desired. Makes about 1 1/2 cups dressing. Set a pot of water to boil for the noodles. In a large nonstick skillet, heat one tbsp olive oil over medium-high heat. Add the tofu strips and saute until lightly brown, turning 2-3 minutes. Add the red bell pepper and zucchini to the pan. Saute for about 7 minutes or until the veggies are cooked to desired degree of doneness. 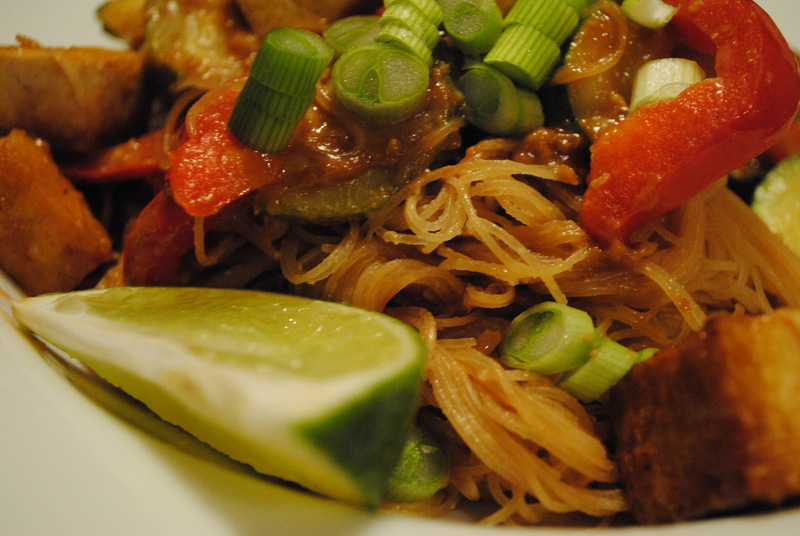 When the water is boiling, add the rice noodles to it and cook for 2 minutes. Strain. In a large bowl, combine the noodles, veggies, cashew dressing, scallions and basil. Mix well. Add salt to taste. Serve with a lime wedge and squeeze over the pasta before eating, if desired. Serves 5. Result: We both loved this! Joanne’s recipes are always amazing! Besides, she had my attention at “8 cloves of garlic” – that’s my kind of recipe! And we were in dire need of a vegetarian, healthy meal! I worked at a create-your-own stir fry grill back in college and this took me back to those days. YUM! The cashew dressing was amazing and I think it could be used in various different ways. Mr. P tolerated the tofu while I loved it. Sometimes tofu needs the right seasoning/flavor, and this dressing is it! 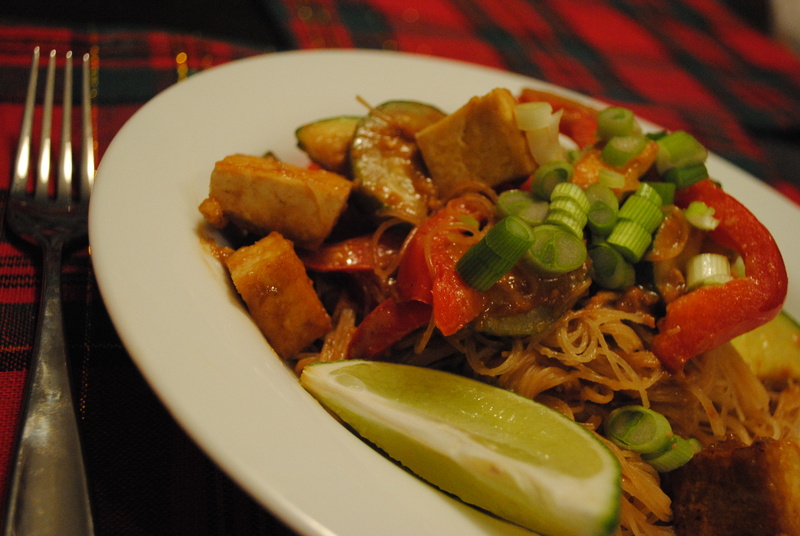 If you’re not a tofu fan, try this recipe with tofu and see what you think. I imagine you’ll be a convert. 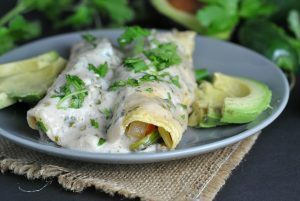 Of course, any other protein can be substituted for tofu for meat lovers out there! Enjoy! Line bottom and sides of an 8-inch square baking pan with parchment paper, then lightly butter parchment. Bring cream, butter, vanilla, vanilla beans, pods, and fleur de sel to a boil in a small saucepan, then remove from heat and set aside. Boil sugar, corn syrup, and water in a 3- to 4-quart heavy saucepan, stirring until sugar is dissolved. Boil, without stirring but gently swirling pan, until mixture is a golden caramel. *It will come to a serious boil for 10-15 minutes before turning caramel colored. 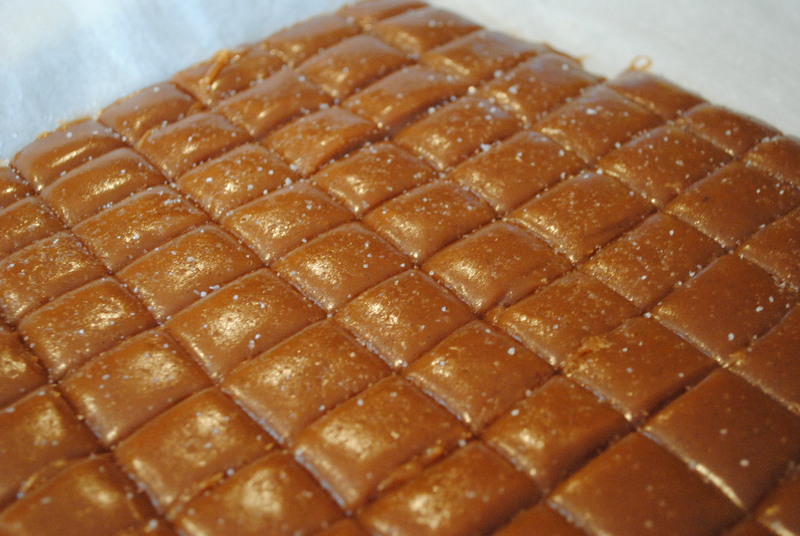 Be sure the liquid is a brown caramel before removing, especially if you are not using a candy thermometer. 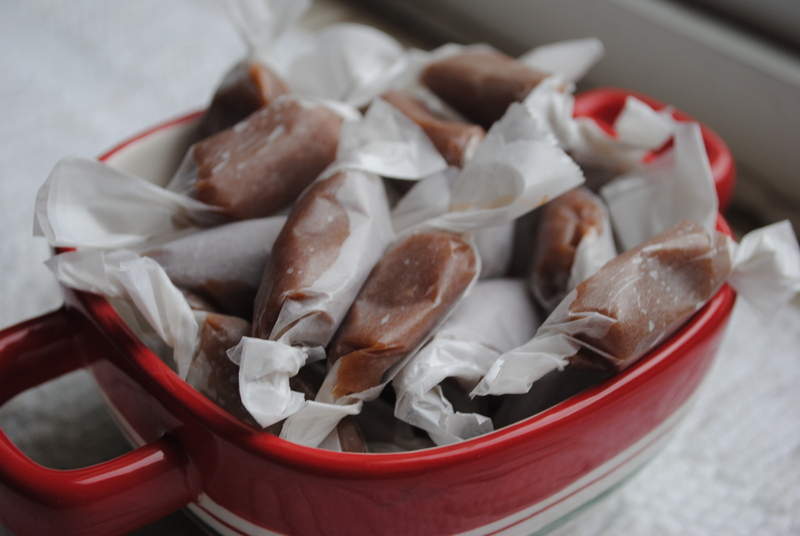 Result: I love caramels, and these really are simple. Just be patient waiting for your liquid to turn a caramel color, and then be sure to let it go another 30-60 seconds to ensure it reaches a high enough temperature. These are deeelicious, though, and I love that they’re 33 calories each! Sure, they’re not big, but they take the edge off my evening sweets craving with very little caloric damage! Enjoy! Question: When you make/eat stir fry, do you prefer noodles or rice? Those caramels look so good I feel like I could eat the whole pan!!! That Asian noodle salad looks amazing! We love tofu and I’m always looking for new recipes. Thanks for sharing! Wow– those caramels look amazing!!! I love Asian-styled noodles. Plus, I’m with you, 8 garlic cloves is always a winner. I usually go with peanut butter, but I bet cashew butter is really great too in this recipe. And those caramels are an awesome gift idea! Oooh wow, those caramels look so gourmet! 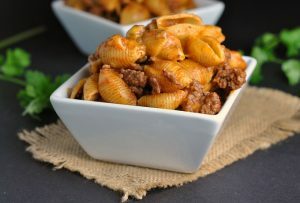 I’m a huge fan of Joanne’s recipes too and this one looks fantastic! Next time I’m craving noodles I defintely know where to turn. 🙂 The caramels look really delicious too! Oh man, I wish I was eating at your house!! Is it bad I skimmed your dinner so that I could get to the fleur de sel caramels? I had a one track mind after reading that title. Those sound amazing. I cant chew caramels bc my teeth hate them (not that I don’t like the taste) but that asian noodle salad looks aweseom! book marking now! Thanks! Oh my gosh…I was *just* thinking today how it’s been such a long time since I made stir fry! I LOVE stir fry. I guess I’ve always made them with noodles (or just with veggies/meat), but I will have to try rice one of these days. And those CARAMELS! That stir fry with cashew sauce sound amazing! I will be putting this on my make soon list! Girl, I don’t know how you do it all! You amaze me! The Asian Noodle Salad looks delicious! Mmmm! I can’t wait to try those caramels! I need to have a destination in mind of where to take them before I can make them! haha! I like noodles with my stirfry! The noodles look amazing! I agree; the tofu needs the right sauce. Congrats on the teaching position. I have always thought teaching would be really neat. Not sure if I want to get my Master’s though. Congrats again!